Tofuture make a great little tofu press that you can use to press bought tofu. This makes it a firmer consistency which will soak up marinade better and be more suited to stir fries. 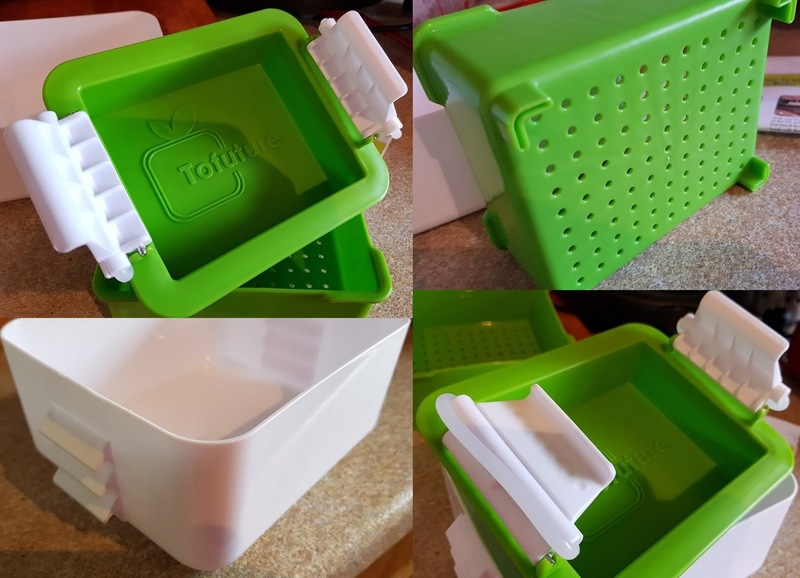 This will give you a tastier meal, but you can also use the press when making your own tofu from scratch. The press comes in 3 parts - a deep outer tub, the insert with perforated base to let the whey drip out and the clip on lid. 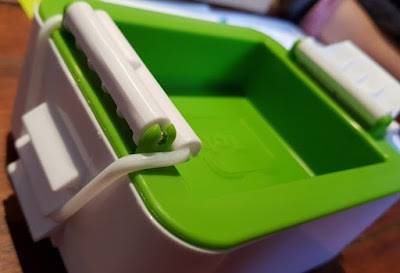 The lid clamps on securely at the sides using rubber bands, which have 3 different positions depending on what you have in your Tofuture press at the time. Regular soya milk bought from the shop nowadays is quite stable, but the internet told me you can still use it to make tofu and I saw it done at the Vegetarian Society Cookery School. All you need is 1 litre of soya milk and around 25ml of lemon juice. It is really simple, however a bit scary. Heat the 1 litre soya milk until it's boiling. 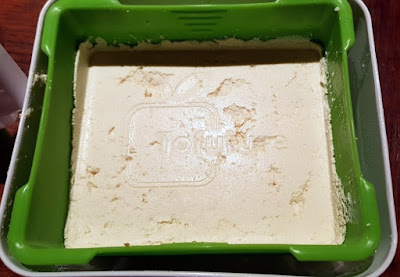 If you use too high a heat or stop stirring it'll stick to the sides of the pan and burn, so you need to give it your full attention for 10 minutes or so. Add 20ml (4 teaspoons) of lemon juice and wait a couple of minutes for it to curdle. If it doesn't, then add an extra teaspoon of lemon juice and bring back to the boil. When curdled the milk will separate into curds and whey. I was too gentle with mine and panicked I'd overboil the milk, but especially with shop-bought milk containing stabilisers, you have to be quite harsh and take it to a rolling boil to curdle it. They whey liquid needs to be poured away, leaving only the curds. 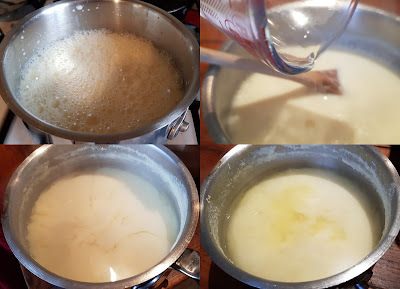 Because the curds are fine they'll slip through a regular sieve, so let it to cool for a moment until you can handle it safely, then take a clean fine cotton teatowel or muslin and pour the contents of your pan through that. 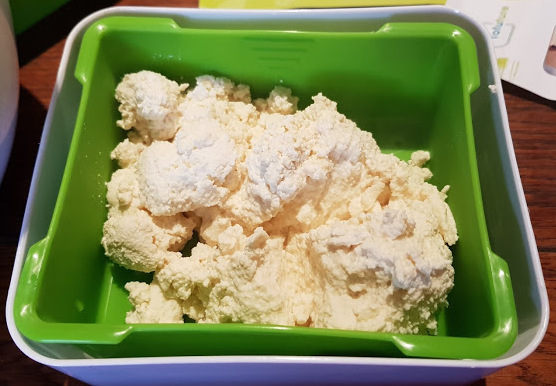 Put the whey you've collected into the insert in the press, seal and put it in the fridge for a few hours or overnight to set. 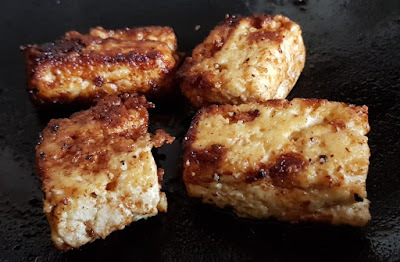 After a few hours you have perfectly pressed Tofu - well, okay, not quite perfect, but I'm still learning! You can then use the outer tub to store and marinade your pressed tofu, as the lid also seals without the insert in place. You should put your tofu into fresh water or a marinade rather than simply store it dry and it should keep well for at least 3 days. 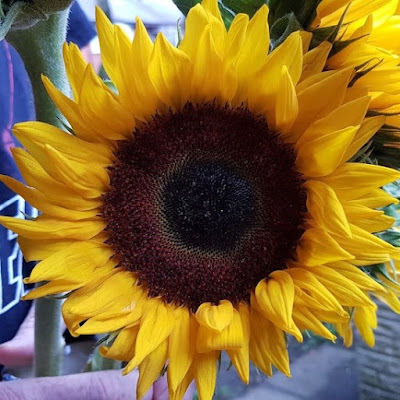 A great vegan alternative, especially in place of chicken. 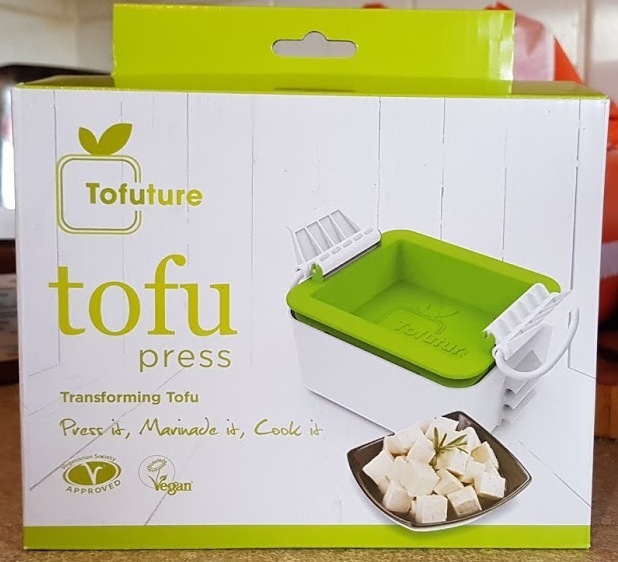 Tofuture is available to buy now rrp £24.99 from Amazon or directly from the Tofuture website where you will also find a host of great recipes and ideas for using Tofu in cooking. 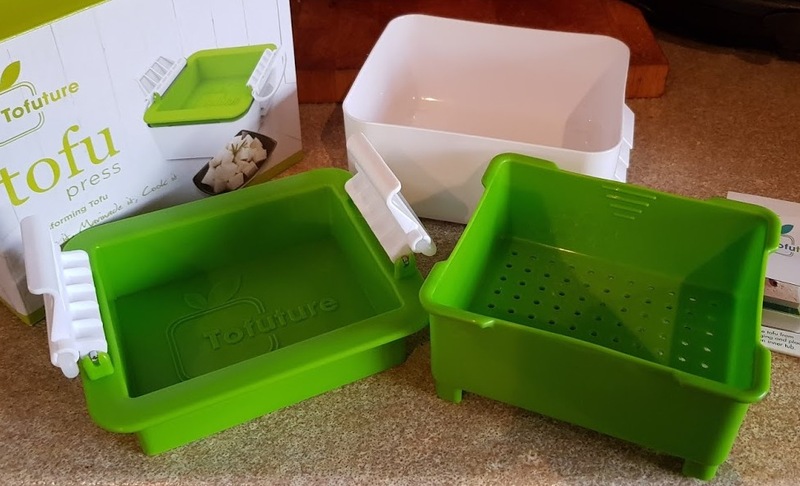 We were sent our Tofuture Tofu press for review. The Amazon link is an affiliate link, so I get a few pence each time someone orders through me, but they don't pay any more!